These positions can help you get a good look at all areas of your breasts and to become more familiar with what they look like everyday. When checking these areas be sure to check for changes in coloration of your skin, changes in size or symmetry as well. Be sure to feel for changes in your breasts each month as well. Lie down on your bed with a pillow behind your shoulder. Then with three fingers make circular motions on each breast. Start from your collarbone and work down. Then go from your armpits to the center of your chest. Feel for lumps or bumps in each breast and those areas. If you happen to find a lump be sure not to panic right away. At least 80% of lumps are not cancerous and some women have more dense breast tissue than others. By having regular mammograms starting at the age of 40, you can help catch breast cancer early. Some women who may have a higher risk rate may need to start earlier than age 40 with these tests. Talk with your doctor about your concerns and they can help guide you into how often you need them. There are a few extra steps you can take to help reduce your risk of breast cancer. One is to keep yourself at a healthy weight. While it is difficult, the closer to a healthy weight range you are, the lower your risk of this type of cancer. Try to exercise at least 30 minutes a day for five days a week. This will help to keep your body healthy and reduce your risk as well. Try to limit the alcohol consumption you have as well. While sometimes it is inevitable, catching breast cancer early is your best bet if you do develop the disease. Taking these steps outlined above can help you detect it early and prevent it from coming along. Be sure to talk with your doctor on how often you need to schedule your mammograms. Tess Young loves sharing tips on how to stay healthy and keep your family safe. 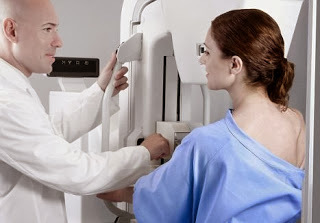 Take these precautions to help detect breast cancer early. There are also other tests like those at http://www.oncoblotlabs.com/ that can help you to know your risks and the results of your cancer test. Early detection is key to survival!